"Pat is exceptional - he's probably one of the best I've ever seen or worked with. An exceptional lawyer and a really good person." 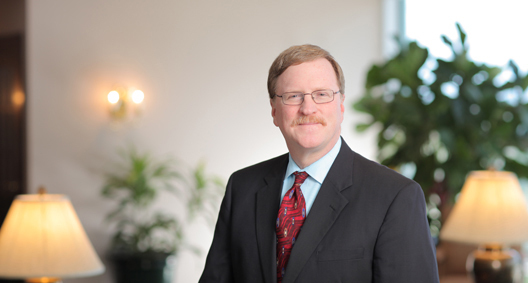 Pat Muldowney advises and represents private- and public-sector management clients in connection with traditional labor and employment law issues. Pat's nationwide practice includes the defense of employers in class/collective actions, as well as in lawsuits filed by individual plaintiffs and administrative actions filed with the National Labor Relations Board, U.S. Equal Employment Opportunity Commission and Florida Commission on Human Relations. Pat also provides legal advice to clients relating to their dealings with unions. Dedicated to assisting his clients, whether in litigation or when they are in need of advice, Pat places a high premium on responsiveness and practices with a sensitivity to his clients' business needs. In addition to having a busy law practice, Pat is an adjunct professor at Rollins College, where he teaches a course on labor and employment law in the Master of Human Resources program. Defended a Florida-based insurance company in a putative collective action filed in federal court in Tampa under the Fair Labor Standards Act concerning alleged misclassification of marketing employees. Obtained summary judgment in favor of our client and secured affirmance of the district court's decision before the U.S. Circuit Court of Appeals, Eleventh Circuit. Served as first chair in a federal jury trial involving a claim of disability discrimination against a publicly traded home healthcare company. Secured a jury verdict in favor of our client after a four-day trial, with jury deliberation lasting only 20 minutes. Negotiated initial and successor collective bargaining agreements for two separate units of a nationally known ambulance company. Assisted the client's negotiating team in formulating management proposals and responding to issues raised by the union's bargaining team during negotiations. Assisted a major professional sports franchise in a well-publicized changeover of its coaching and front-office staff. Worked with senior management to assist with the exit of existing personnel and prepared and negotiated employment agreements for new executives and staff. Successfully argued before the Florida Supreme Court that referral sources in the home healthcare industry can be protected legitimate business interests under the state non-compete statute. Best Lawyers® 2019 Employment Law – Management "Lawyer of the Year"
Orlando Magazine "Orlando’s Best Lawyers"
Weigand v. N.L.R.B: A Double Standard for Social Media? Interns and Anti-Discrimination Laws: Is Wang Employers’ High-Water Mark?